Whether it is for one tooth or many teeth, everyone can feel the benefit of dental implants. At our clinic The Old Windsor Dental Practice, Berkshire, dental implants are one of the long term solutions we offer to the problem of missing teeth. Dental implants are simply small screws that are put into the jaw bone to act as sites for prosthetic dentistry. You can have one fitted to fill a gap to restore your smile and increase your self-assurance. 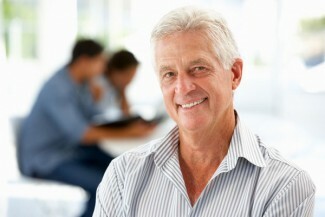 Alternatively, you can get many fitted as an alternative to removable dentures, bridges or crowns. We work with you to achieve a natural look so that you can flash that smile with confidence! From the beginning, your dentist will make a plan to take you from start to finish based on what you need to reach the goal you desire. They will give you all the details you need and the merits and challenges of any procedure so that you can make an informed decision before proceeding. After the procedure, you will come for regular check ups as part of our supportive aftercare. This will be alongside the care you will be giving your implants at home. All the normal dental care with a significant level of diligence will ensure that you get the most out of your dental implants. It’s not just the inside of your mouth that can benefit. If you are worried about a change to your facial structure due to a loss of teeth or jaw bone, dental implants can help by waking the jaw up again! It can invigorate bone growth and blood vessels around the implant. This process helps to integrate them. We want the best for you oral care and to give you just the right treatment for you. We are fully insured and accredited and trusted by many of the top dental brands to carry their products. At The Old Windsor Dental Practice, Berkshire, dental implants are just one of our range of offerings to solve dental issues simply, safely and quickly. Start with the first step and make an appointment with us today. At The Old Windsor Dental Practice, we believe it is hard to overestimate the impact that good dentistry can have on your quality of life especially if you have been living with missing teeth or removable dental replacements for some time. We know how to offer you a great solution for your needs at our clinic in Berkshire. Dental implants are a brilliant route to returning you to something close to your former ability to eat, chew, bite and smile with confidence. It’s a relatively simple treatment and begins with having a chat with your dentist who will check the current structure of your mouth and jaw bone to assess your suitability and give advice on the length of time the treatment will take and the extent of the required work. Even if there has already been some deterioration to the jaw bone, you can still be considered as a candidate for dental implants. Once fitted, they can actually help to stimulate bone growth around the implant and open up tiny blood vessels to service the area. This can help to prevent the start of or continued damage to the jaw and thereby arrest the development of a sunken appearance to the face. The actual dental implants themselves are like posts fitted into the jaw which then become the site of attachment for items such as crowns or bridges. Dental implants are designed for long term use and so you will need to care for them just like you would for your normal teeth. Good dental hygiene is essential for health, freshness and comfort. Your dentist can give you guidance both in person and to take away with you and can advise on what to use although no special equipment is required to take care of your dental implants. We’re experienced and patient centred which makes us an excellent choice for dental implants. Berkshire is well served by our practice and we hope to see you there. 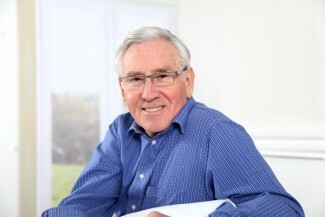 When it comes to getting your dental implants in Berkshire, we believe that at The Old Windsor Dental Practice, we can both meet your expectations and exceed them. Deciding to go ahead with having dental implants can be a big step to take, so it’s understandable that you’d want to do everything possible to ensure treatment is a complete success, especially as your new replacement teeth should last a very long time if not for the rest of your life. So what are the factors that can influence dental implant success? Having a successful dental implant relies largely on picking the right dentist for the job. It’s important to choose a dentist with plenty of experience in placing dental implants, preferably someone like Dr Utpalendu Bose who has taken the trouble to complete extra training in this field. Experience really does count for a lot, as your dentist in Berkshire needs to be able to decide whether or not the implant can be placed correctly so that the final crown, bridge or denture can function properly while still looking beautiful. In addition your dentist will need to assess if you have sufficient bone to support the implant, and if the bone is in exactly the right place for the implant to be inserted. The planning stage is absolutely critical and is part of the reason why dental implants are generally extremely successful. While part of the success lies in the hands of your dentist, another part is wholly down to you. It doesn’t matter if you’re getting on in years, but it can make a difference if you have poor health as this could make it harder for your gums to heal once the dental implants have been inserted. Smokers will almost certainly need to quit, at least until implant treatment is completed as smoking can slow down healing, increasing the chances of implant failure. It’s better for oral health to give up completely, and perhaps dental implants could be a great incentive. When treatment is completed then it’s down to you to look after your dental implant. Some people think there’s no need to take any special care of dental implants in Berkshire, as after all they are made from completely inert materials. What they fail to consider is that the implant post is surrounded by living bone and living gum tissue and it’s vital to keep these healthy as they are supporting your implant. If these tissues become diseased and then you could well lose both bone and gum tissue, and this will mean your implant will gradually become less stable could eventually need removing completely. It is pretty simple to take care of dental implants and your dentist in Berkshire will give you full instructions on how to look after them. It’s important to make sure you floss around them each day, or that you use interdental brushes or some other method of removing plaque from in between your teeth. Regular dental check-ups will help your dentist in Berkshire to see if any problems are developing, while regular cleanings will remove any tartar that might’ve built up around the implant. If you notice the gum tissue around the dental implant becoming swollen or sore at any stage then there’s a chance it could be infected and it’s important to seek help soon as this will help improve the likelihood of being able to save the dental implant. Dental implants are the only permanent way for your dentist to replace one or more of your natural teeth. At Old Windsor Dental Practice in Berkshire, our skilled implantology team can replace one, some, or even all of your missing teeth with the help of dental implants. Missing teeth must always be replaced, in order to preserve your general and dental health, not to mention your self-confidence. Dental implants are the only way to replace the roots of the teeth, and as well as giving you back your beautiful smile they also restore full functionality to your jaw, and help to prevent bone resorbtion (shrinkage). Dental implants are placed in direct contact with your jaw bone in a minor operation, carried out here at our Berkshire dental practice under local anaesthetic or conscious sedation, depending on your preference. Sometimes, new teeth can be attached at the same time as your implants are placed, while in other occasions it is best to leave your implants to heal for a few months before permanent new teeth are attached to them. Once adequate healing has taken place, your dentist can replace your missing teeth with crowns, a bridge, or dentures, which once attached to your dental implants will remain firmly in position, with no danger of them becoming loose or falling out unexpectedly. For one missing tooth, your dentist will probably use a crown with a single dental implant. For several or all missing teeth, we may use an implant-retained bridge or denture, depending on your clinical need and your personal preference. With proper care and regular follow-up appointments with your dentist and hygienist, your dental implants and the new teeth attached to them should last you for many years – perhaps even your whole life.